Area rugs can be powerful design tools, whether they act as artwork for the floor or simply provide a complementary background for the other decor. Imagine taking a room with a dark red Turkish rug and switching it out for a plain sisal version, or exchanging a Moroccan tile print for a French Aubusson. With just this one simple switch, a room can go from traditional to modern, classic to contemporary, or bland to bold. Decide which one is right for you involves several key considerations. There are as many area rug styles as there are furniture styles, lighting styles, or room styles, meaning there's an almost unending variety of options. Rooms are no longer limited to traditional Persian rugs or classic European styles. Alongside these time-honored options are modern and contemporary alternatives, such as bold florals, strong geometrics, and simple jutes and sisals. Before settling on a style, educate yourself about what is available and think about what kind of atmosphere you want to create in your room. Remember that an area rug doesn't need to match everything in a room, but it should work with the textures and tones of the existing furnishings. Color is a natural starting point when choosing an area rug. Obviously, you need to think about what colors you like and what colors you'd like to live with day in and day out, but that's not all. The color of your area rug will set the tone for the entire room, so it's an important decision. If you already have furniture, consider how different colors will work with your existing items. Rooms with a lot of color and pattern often work best with a rug that has neutral tones or a single color. If you don't already have furnishings, consider how different rug colors will work with the tones of the flooring, walls, and ceiling. Rugs can either stand out or blend in, so think about what effect you want to create when considering color. Not everyone is enthusiastic about patterns, but if your furniture and walls are all solid colors, a patterned rug can really bring your room to life. Likewise, if you have patterned furniture, a solid rug can have a grounding, calming effect. It's all about balance; if your room is already furnished, take this into account before choosing a rug. If the rug is one of the first items you're purchasing, though, think about what pattern is right for you. Do you want something eye-catching or a little more subtle? The effect a pattern has on a room is closely tied to its colors, so consider how the two will work together. A rug that's too small for the room is one of the most common decorating mistakes. For most average-sized rooms, there should be about 10 to 20 inches of bare floor between the edges of the rug and the walls of the room. Depending on the size of the room, you can go as low as 8 inches and as high as 24 inches. In any case, make sure the rug is centered in the room and the distance between the rug and the wall is the same on all four sides. You can also use rugs to define spaces. If you have an open concept space or you want to layer rugs, the rules can be a little different. Think about the area you want to highlight and choose a size based on that, but remember that it's better to go too big than too small. When choosing a rug, it's important to think about what kind of pile you want: low, medium, or high. Low-pile rugs are generally sturdier than high-pile rugs and are easier to vacuum and keep clean. They're also less expensive than high-pile rugs. Rugs with a longer pile are softer and more luxurious underfoot and can help make rooms look cozier and more inviting. As a general rule, a room that gets a lot of foot traffic will benefit from a low-pile rug, such as a dhurrie or kilim rug, while a thicker rug will last longer in a room that doesn't get a lot of traffic. Your lifestyle should be a big determining factor in what rug you ultimately choose. 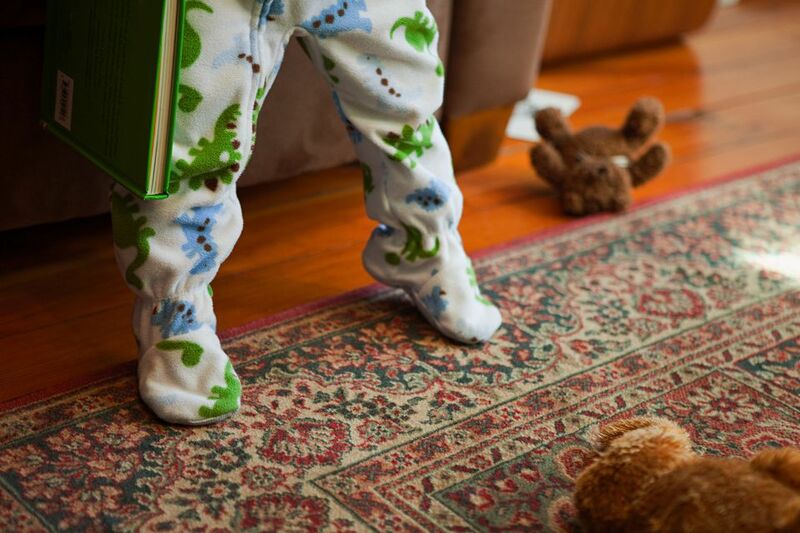 If you have children or pets, a white rug with a high pile is probably not the best choice. If you expect that your rug will have to deal with a lot of wear and tear, a flat weave rug with a pattern that masks stains is worth considering, as it will be easier to maintain and keep clean. On the other hand, if you want to create a sense of comfort and luxury, a flat weave rug probably won't do the trick. Instead, you'll want something softer with a higher pile. Just be aware that it will not stand up to damage as well as something with a lower pile. When choosing a rug, be honest with yourself about how much work you are willing to put into maintaining it. Most rugs need to be vacuumed and rotated regularly. Flat weave rugs are easy to vacuum, but you can also take them outside and beat them out the old-fashioned way. High-pile rugs are more difficult to clean, and some must be either sent out or professionally cleaned in the home. No matter what type you choose, be sure to use a rug pad that is compatible with the rug material and the flooring below. Don't expose a rug to direct sunlight if you can avoid it, and definitely do not let stains set. If you do any of these things, you may actually ruin your area rug, no matter what type you choose.